Akim Lionel isn’t a name that will jump at you or you will recognize. He isn’t a hit creator like for example,Freezy, Ricky T, or Ezra D’Funmachine, he hasn’t successfully starred in T-20 World Cup Finals (twice) and he hasn’t won any Noble Prize – yet! 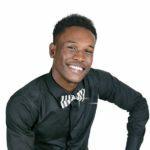 So it won’t surprise us if you thought to yourself Akim “who” when you see him on the front cover of the magazine, but if you own a BMW and (or) you are looking for one of the most inspiring stories of a young St. Lucian under the age of 21, then Akim Lionel is a name you will not want to forget. I first got wind of M-Motors’ young technician from a mutual friend Christian Alexander who insisted that we either meet to with a bright young prospect or we at least try our mobile data’s resilience with a video call. I immediately noted to myself that if Christian was willing to risk a few dropped calls then this guy must be the real deal. After one missed meeting and a severe scolding (yes I was on the receiving end) the YO! Magazine met with who we believe will soon be BMW Genius! Akim Lionel appeared as a reticent individual, not too keen on drawing attention to himself. After the amount of accolades that were already bestowed upon him by his colleagues, due to his hard work and dedication, we were encouraged to at least get more than the sheepish smile and handshake greeting. 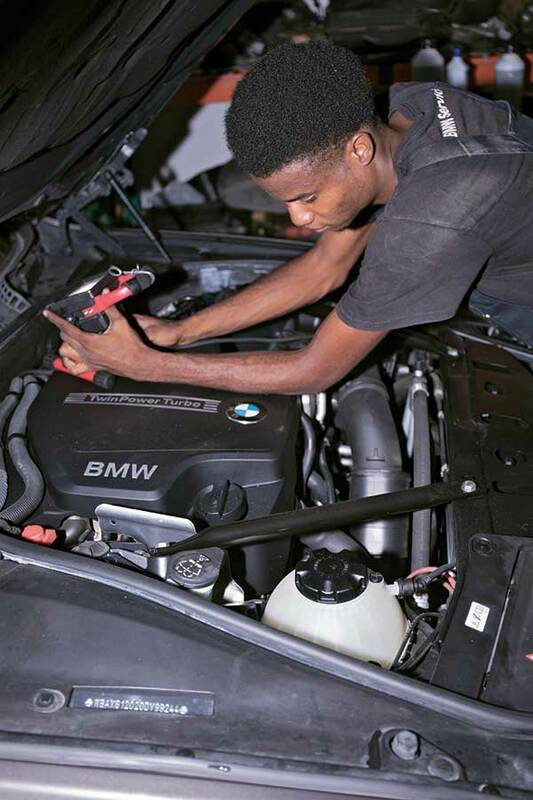 His attention to detail and assiduousness have already began paying dividends as he is proudly informed us that he is the first St. Lucian Certified Level One BMW Technician. Further investment by M-Motors in their staff saw Akim moving way ahead of other technicians in the Caribbean. He completedthe ICT Technician Training programme that was added by BMW for the newer generation of vehicles and is waiting on a face to face class and exam that can only be arranged when the other regions’ technicians have completed their programme. For him this is not just a job, it is his second breath. A has been a lover of vehicles from an early age.He spent a few moments reminiscing on the Sundays he would spend working with his father and grandfather on their vehicles and the driveshe would go on with his uncle in the Supra. The memories forced him to crack a fifteen second smile as he told us how much he loved and cherished those times. 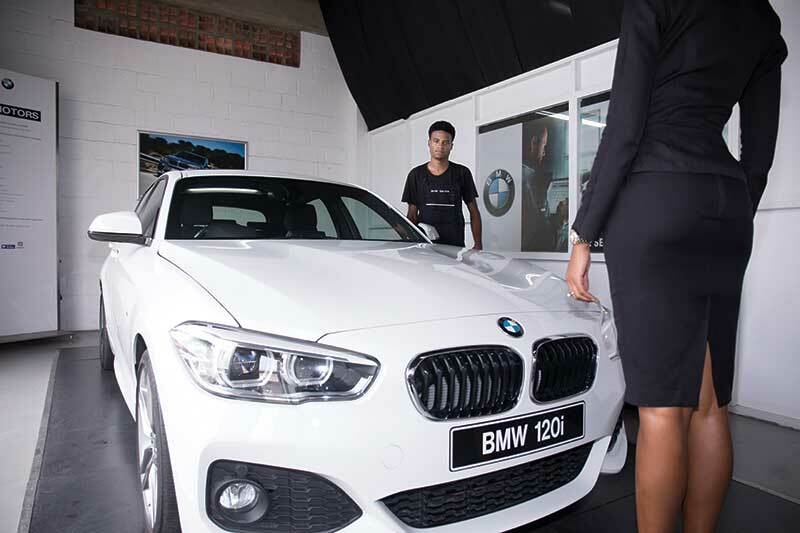 His preferred vehicle however, and dream car, is a combination of power and silence – the BMW 3 Series Hybrid. 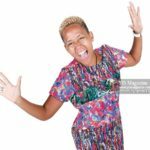 To become the Genius that we have already proclaimed he will be and what he aspires to become,Akim has to undergo a rigorous process which includes a series of exams. He also wants to ensure that he hasthe title of Master Technician under his belt. It may sound like a long and arduous process but if there is one thing this young man has already proven, it’s that he isn’t afraid of hard work or a challenge.